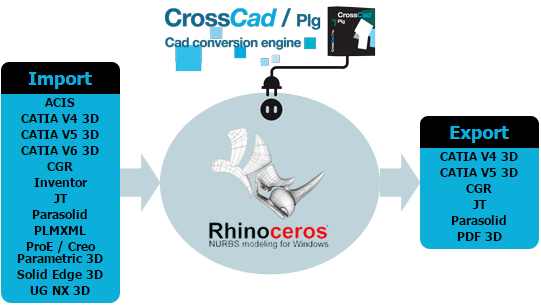 Datakit, leading company in CAD data exchange, develops CrossCad/Plg: plug-ins for the CAD software Rhinoceros. Compatible with Rhino 4 and 5, these tools allow to import or export CAD models whose formats are not natively processed by Rhino. 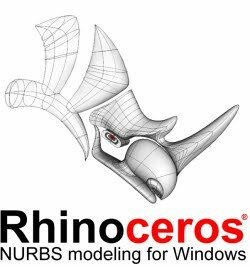 These plug-ins have new CGR and JT exports, allowing Rhino users to easily export their models to these formats. These exports are added to numerous other import and export formats already available. Datakit provides these plug-ins one by one, but also as very interesting bundles: these plug-ins packages allow to purchase almost all imports and exports for a lower price than purchasing these plug-ins individually. The new CGR and JT exports have been added to the export bundle without increasing the price. Datakit takes advantage of these new features to make an additional offer, by providing for free the import of PMI (Product Manufacturing Information). All owners of a CATIA V5 or UG/NX files import plug-in with an up-to-date maintenance can benefit from this offer. This feature allows to import in Rhino the graphical presentation of information contained in CATIA V5 and NX files, such as 3D annotations, tolerances or dimensions, in addition to geometrical data.